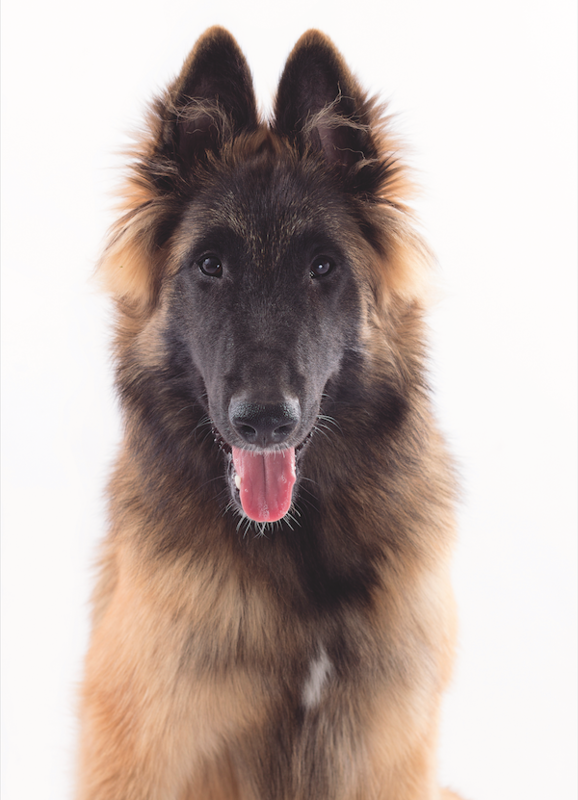 The Belgian shepherd dogs are four varieties of the same breed, differing in coat color, texture, and length. They are named for the towns and suburbs near Brussels where each was first bred. Most countries still consider them a single breed, but the American Kennel Club gives each variety separate status. 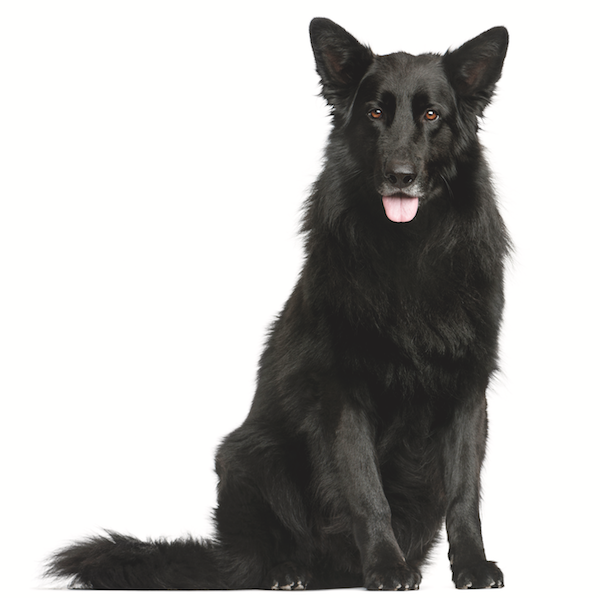 The Belgian Sheepdog or Groenendael (Grown–en–dahl) is the long-haired black dog. Although it’s often mistaken for a German Shepherd Dog, the two are not related. The versatile Belgian Sheepdog makes an excellent herder but has also served on the battlefields as a message carrier and defense dog. Belgian Sheepdog or Groenendael by Shutterstock. The Belgian Tervuren (Ter–vyour–en) is the long-haired fawn variety named for the village east of Brussels. The Terv demonstrates keen intelligence and easy trainability. In fact, it can perform so many jobs that the American Belgian Tervuren Club’s motto is: A well-balanced Tervuren has a title at each end of its name. The Malinois (Mal–in–wah) is the shorthaired fawn variety. Around the world, the Malinois has become the preferred working dog for police work, personal protection, and sports like Schutzhund. 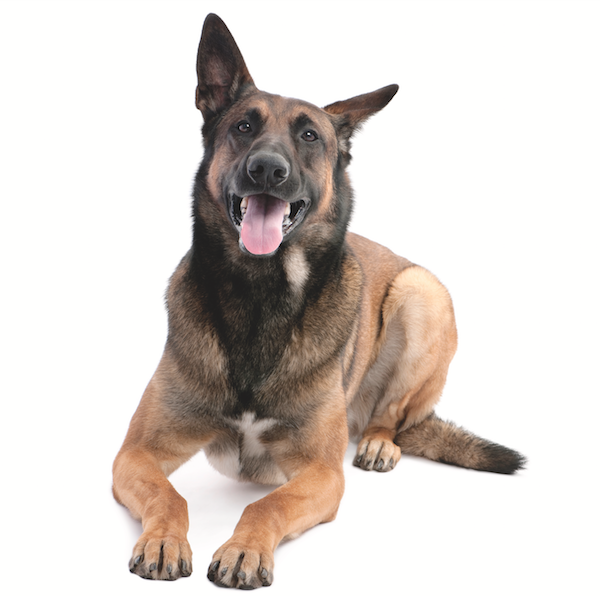 The Malinois has been used successfully to detect such odors as explosives, accelerants, and narcotics. The U.S. Secret Service uses Malinois (same spelling, singular and plural) to guard the White House. The TV crime series Person of Interest features a Malinois named Bear. The 2015 feature film Max stars a Malinois of the same name, who returns from service with the U.S. Marine Corps. 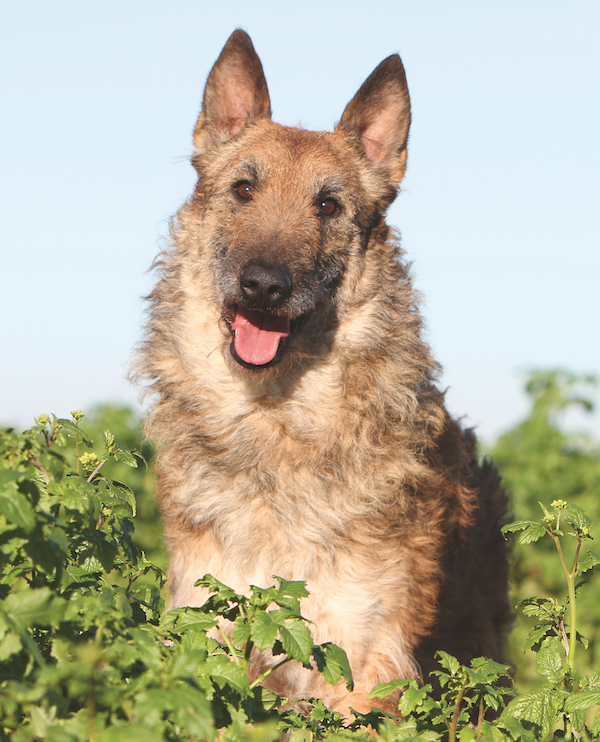 The Laekenois (Lack–in–wah) is the most recent of the Belgian shepherd breeds to become established in the U.S. It is the fawn rough-haired variety that hails from the town of Laeken. It is currently in the American Kennel Club Miscellaneous Class and has not yet received full breed status. In addition to tending the flocks, the Laekenois had another unique duty, and that was to guard linen drying in the fields. Later, he served as a messenger dog during both World Wars. 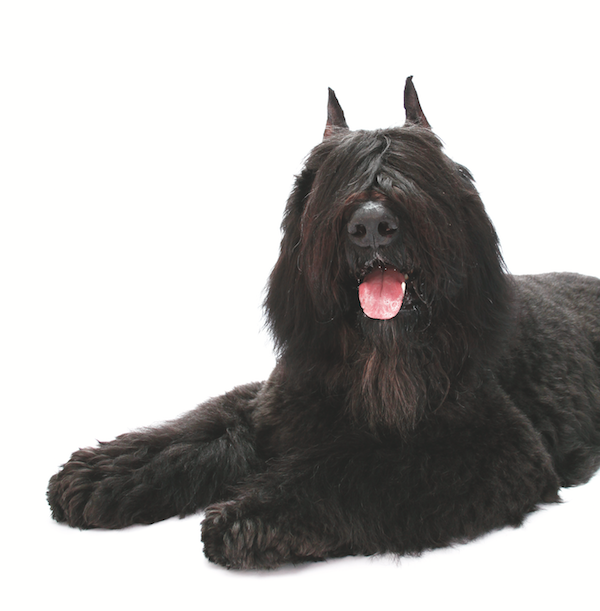 The harsh-, double-coated Bouvier des Flandres (Boov–yay–day–Flan–dra) is often recognized by its bushy trademark beard. Owners get used to their Bouviers wanting to rest a wet beard in their lap. In fact, one of the breed’s nicknames is Vuilbaard (“dirty beard”), and the American Bouvier Club’s newsletter is entitled Dirty Beard. President Ronald Reagan had two dogs in the White House during his presidency: Lucky the Bouvier and Rex the Cavalier King Charles Spaniel. Lucky was a big, exuberant dog, and many amusing photos appeared in newspapers of Lucky “walking” the president. Eventually, Lucky was moved to the Reagans’ ranch, where she spent the rest of her life. Bouvier by Gina Cioli/Lumina Media. Griffon Dog lovers have an extra reason to thank Jack Nicholson. 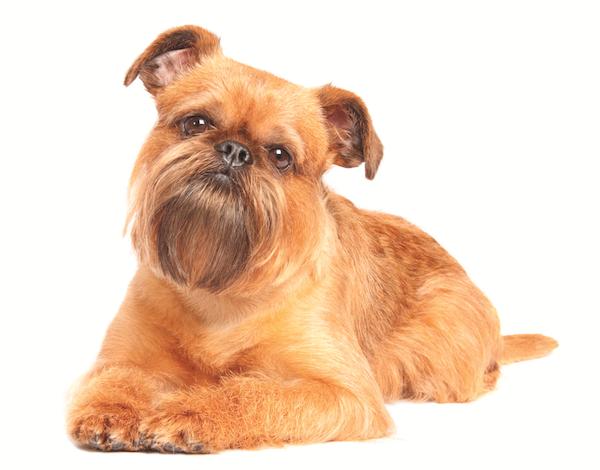 Not only was the 1997 romantic comedy As Good As It Gets entertaining enough to win him an Oscar, but it also introduced movie fans to the charming Brussels Griffon, thanks to Jack’s canine co-star. Actually, six different Griffons were used to play Virdell. 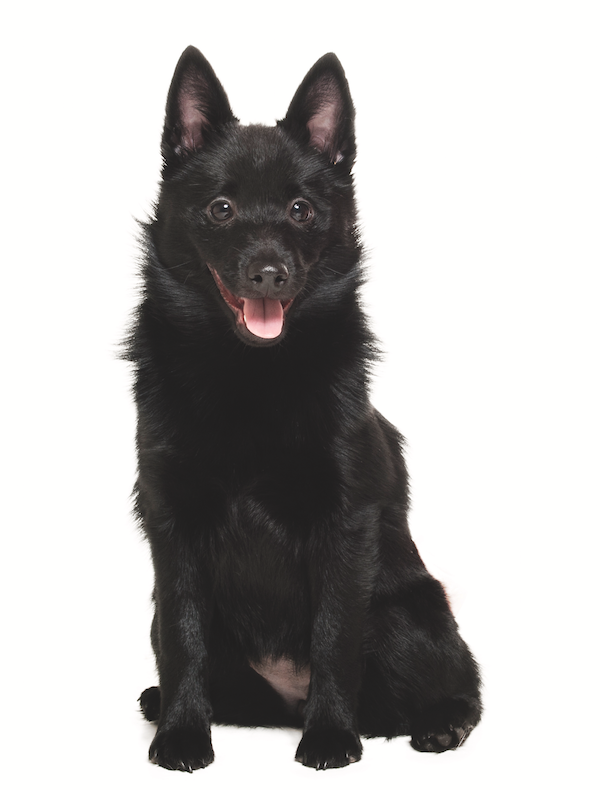 Schipperke (Skip–er–key) is Flemish for “Little Captain.” Although he is called a canal boat dog, the breed was as popular with shoemakers and other workmen as he was on the canals, serving as an able watchdog and ratter. Admirers of the Schip then and now appreciate the breed’s high spirits and longevity (it’s not at all unusual for Schips to live well into their late teens). Although the American Kennel Club breed standard requires an all-black dog, other colors are seen. The British breed standard allows for other solid colors, the most popular being fawn, cream, and chocolate. The post 12 Fun Facts About the Dog Breeds of Belgium appeared first on Dogster.